The Look X-Track En-Rage MTB Pedals are designed for enduro riders,offering a confidence-inspiring pedal experience with its durable, wide designed. Ensuring stability and aiding in balance and maneuvering, the forged aluminum X-Track En-Rage offers 545mm2 of platform area with Look's X-Track retention mechanism. Designed for easy engagement and disengagement, these pedals guide the foot into the mechanism for effortless pedaling. 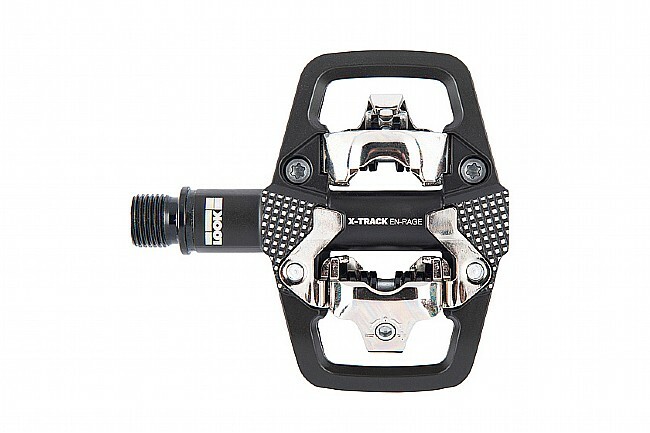 The Look X-Track En-Rage MTB Pedals include X-Track cleats and are compatible with 2-bolt mountain bike shoes. Forged aluminum extra wide pedal body with easy to use retention mechanism. Stack height + cleats: 16.8mm.